A diaper pail is a pail designed for disposable baby diapers. The stinky smell is always a problem when it comes to the used ones, but with a pail, the smell can be treated properly to prevent it from wafting all over the room. The right choice of pail for the used diapers is essential in keeping the room always fresh. 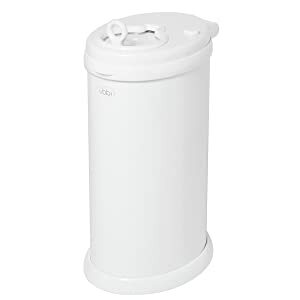 Similar to an ordinary trash can, the dry pail comes with a lid to lock the odor and the diapers inside. 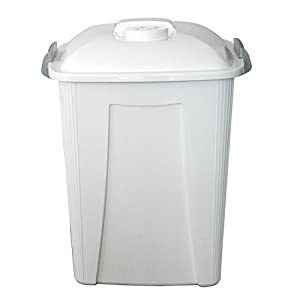 It can be used for dry and wet used diapers only that loose waste should be scraped off from the cloth diaper before dumping them into the pail. You can have a separate pail for wet and for dry ones. 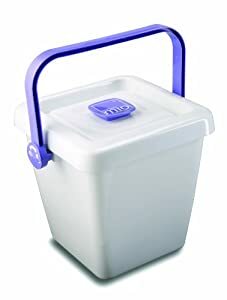 Designed for cloth diapers only, this pail can be filled with water for cloth soaking. For best results in washing the cloth diapers, and to prevent bad odor, you may want to add baking soda or white vinegar into the water. You may choose any of the pails available in the store for this purpose. 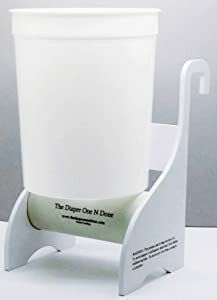 Instead of looking for a specifically designed diaper pail, any design will do, but may lack some of the needed functions for an odorless disposal of diapers. This brand is one of the most preferred by many moms because of its features and designs. It suppresses the bad odor from the stinky diapers while it also seals the pail in its lid. Once full, the liner can be simply pulled off from the pail. 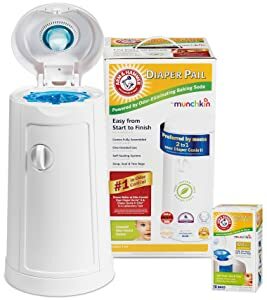 The pail also comes with a dispenser for the baking soda, which is a good eliminator of odor and bad smells of the diapers. Together with the self-sealing system of the pail, this is the diaper pail that offers the best odor control system. Any theme you have for your nursery will surely find a match of this metal pail in its different color options. Its sleek design is also a great thing to appreciate, as well as its functions. With a child proof lock, easy to open lid, and can be used with any bags as liner, this metal pail is worth its expensive market price. If you are looking for an entry level in using diaper pail, this brand is a good option. Although it is not a sleek one in terms of design, yet it offers great functionality when it comes to odor suppressing of the stinky diapers. 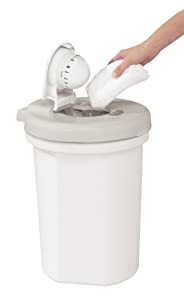 You can also use any kind of trash bags for this pail with its easy insertion and removal of bags. This pail is only good for a single diaper, but it offers a seal that locks in the smell from the stinky diaper, avoiding wafting the entire room. It can stand on the floor and it can be hung as well, depending on your choice. And because it is made in the USA, you can ensure quality materials and functions. What is great with this brand is the 30 day satisfaction guarantee, which means you can return the pail back if you are not satisfied. Specifically designed for cloth diapers, this pail is a heavy duty one with carbon filter and a strong clamp closure, ensuring the odor is locked in the pail. The carbon filter works best from day one to three months, which means you need to change it after that period. Available in two sizes, 7 and 14 gallons, you have the option to pick one that fits your room. At four gallons capacity, this pail is just perfect for a day’s diaper trashes. This nappy bucket comes with a tight lid that is intended to keep the odor locked in the bucket. Its plastic material is durable, easy to clean, and does not absorb the odor from the diapers. It can be used for dry diapers and wet cloth diapers.